Winter weddings aren’t far anymore! 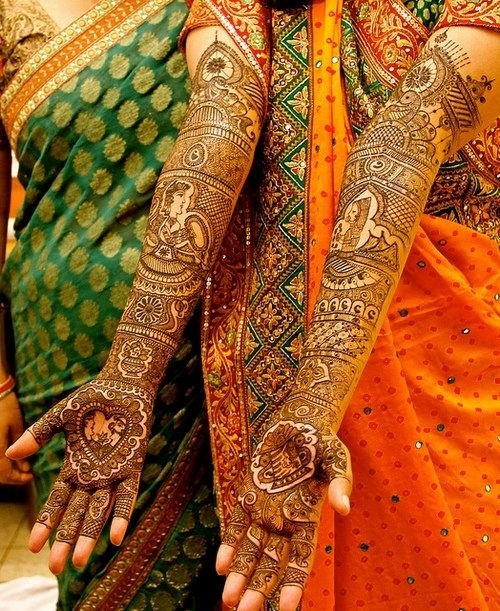 And if you have started prepping up then why not also select the ideal dulhan mehndi design for your hands? Take a look at 16 auspicious styles right away! Come winter, the wedding invitations will start pouring in, it will be time to head out shopping with your aunts and sisters and the final stages of wedding planning will be on in full swing. When finalising your outfits for your big day you need to take a lot into consideration – the colors you will wear, the styles of outfits, the embellishments and even the mehndi designs to go with the entire wardrobe selection. Come your big day you will want every inch of your to sparkle in style and glamour, even your hands and feet. So pre-decide the mehndi design that works for you to ensure you look your most beautiful on your wedding day. The popular designs for this winter wedding season include intricate and large sized mehndi patterns that run along the length of hands and feet. There is also a trend of including beautiful drawings and symbolic elements at the centre and then surrounding them with delicate patterns. Take a look through the 16 best mehndi designs for dulhans this winter. The outfit trends for this season include a lot of chiffon and zari combinations. This is an almost fusion combination and can be beautifully offset with a stunning and traditional mehndi design. Pick outfits with multiple layers to keep you warm during the ceremony. Choose lehengas and salwar suits with embroidered jackets that will match your mehndi patterns. The most favoured colors this season are predicted to be reds, yellows, pinks and blues. To embellish your mehndi, pick a sparkle henna color that is in the same shade as your outfit. You can add a little bit of glitter to the mehndi as per the outfit of the day and have all eyes on when you enjoy your special day. An Imagery of Radha-Krishna, peacocks, floral plantations, traditional man and wife etc. are hot favorites among the winter wedding season trends this year. 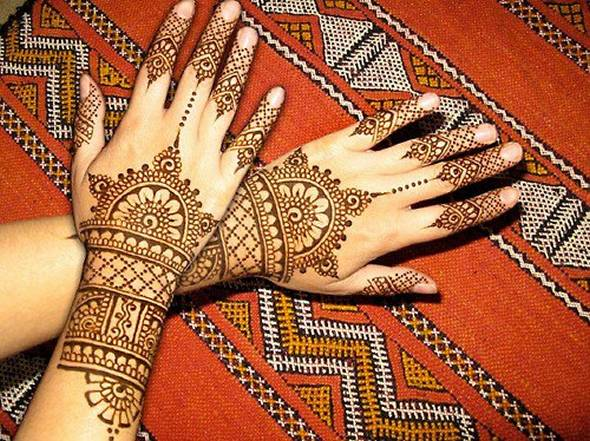 Arabic mehndi designs are out and fuller, intricately woven and thickly decorated palms, hands and feet seem to be the norm. To keep up with the newest mehndi fads, keep minimal empty spaces between the henna strokes and fill up as much of your palms as possible. Women are also using styles which highlight certain elements such as their rings, bracelets and shoes by using mehndi patterns that are strategically planned to show off the fashionable side of you. Leaving a black space in the mehndi for the engagement ring to stand out, or drawing patterns on the feet which seem to curl around a pair of heels is coming out as a new and innovative style. Now mehndi does not involve only applying beautiful patterns to your hands. Also remember to get a manicure and pedicure to ensure that your hands and feet are well exfoliated and cleansed and also to make your nails look neater, brighter and prettier which can help the overall appearance of the mehndi. So get started and plan the design that you will want to show off in all your bridal glory.